They're effectively conceding his guilt, but letting him off with "time served" (it's unclear whether he's actually done the community service in question) and a tiny forfeited bond. A judge has also agreed to seal all the relevant records in the case, a stunning development that isn't getting enough attention. In response, Smollett's attorneys issued a mind-bending celebratory statement, reiterating the ludicrous claim that their client is an innocent victim who was attacked by unknown assailants. How can this be spun as a just outcome if the criminal is maintaining his farcical lies? The cops are furious, as they should be; they weren't even given a heads-up. Incidentally, for those pushing Trump-collusion "exoneration" snark in response to these dropped charges, give it a rest. This isn't about Trump, and there is no comparison whatsoever to be drawn. Trump was vindicated on collusion following an exhaustive two-year federal probe. Smollett's culpability has been fully established by reams upon reams of actual evidence -- from phone records, to video footage, to confessions from co-conspirators, to purchase records, to personal checks (the check we've seen was reportedly for personal training as well as, ahem, "a favor beyond the training"). He paid off two associates to stage a phone hate crime. We've literally seen the receipts. Note that Ms. Foxx's office isn't disputing Smollett's obvious criminality. They're just absolving him of any serious legal consequences for his actions (previous community service and the forfeited bond hand-slap notwithstanding), leading to the breathtakingly brazen claims of exoneration from Smollett and his lawyers. And they're doing so after their boss demonstrated her own conflict of interest, which led her previous recusal. Even if you're inclined to view this as an imperfect but sound determination, i.e., sparing the city a costly trial and a nasty brawl over CPD's reputation, Foxx's fingerprints being anywhere near this resolution will fan the flames of a corruption narrative. We need to know the extent of her involvement in this, as well as every step of her team's reasoning. Also, why on earth did the judge seal the records, making it harder for other Chicago officials to push back against the bogus claims Smollett is still peddling? Remember, CPD has said there's even more evidence against Smollett that hasn't yet been made public. Is the judge trying to guarantee that we'll never see it? Two final points: First, recall that CPD implicated Smollett in the 'threatening letter' piece of this saga, which could mean that the actor may still be on the hook for federal charges. Second, think about what a horrible message would be sent if the person plainly responsible for an extremely high-profile hate crime hoax is spared any meaningful punishment. When authorities fail to hold people responsible for society-destabilizing crimes, they incentivize more of the same. That's not justice. 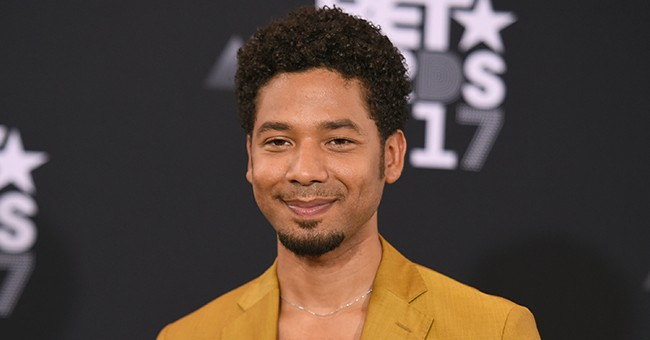 Parting thought: Even if the relevant authorities thought a trial, with the accompanying media circus, wasn't worth it, why didn't they at least force an admission and apology out of Smollett, who originally claimed that the attack was perpetrated by white Trump supporters? And how can he wriggle away from this mess without paying significant restitution to the city he smeared -- particularly after police determined that his hoax was motivated by financial greed? UPDATE - The Assistant State's Attorney who made the final call to drop the charges says his office stands by the investigation and the filing of the charges. This is not an exoneration, he says, just a decision to prioritize prosecuting criminals who threaten public safety. I don't agree with this calculation (the effect of crimes like this on society should also weigh heavily), but again, how could they not even wring a confession out of the guy in exchange for walking free? The case, according to basically everyone involved, was rock solid. Smollett allegedly rehearsed the damn thing, for crying out loud. The police are saying they were prepared for trial, and this sandbagging is a "punch in the gut." CPD's Johnson: "It's Mr. Smollett who committed this hoax. Period." Mayor Emanuel: Smollett still claiming innocence and attacking CPD. "How dare him? ...Still no sense of ownership of what he's done. This is unbelievable." Emanuel: "The city saw its reputation dragged through the mud," says grand jury indicted based on just a "sliver of the evidence" against Smollett & slams judge for sealing all records, preventing full evidence from being seen. "From top to bottom, this is not on the level." Chicago Mayor Emanuel: The $10,000 hand slap 'doesn't even come close' to reimbursing the city for CPD's costly investigation. He's teeing off on Smollett. "He did this all in the name of self-promotion...this is a whitewash of justice...where is the accountability?"